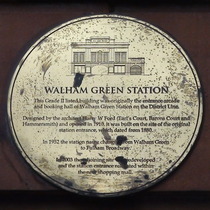 This Grade II listed building was originally the entrance arcade and booking hall of Walham Green Station on the District Line. Designed by the architect Harry W. Ford (Earl's Court, Barons Court and Hammersmith) and opened in 1910. It was built on the site of the original station entrance, which dated from 1880. 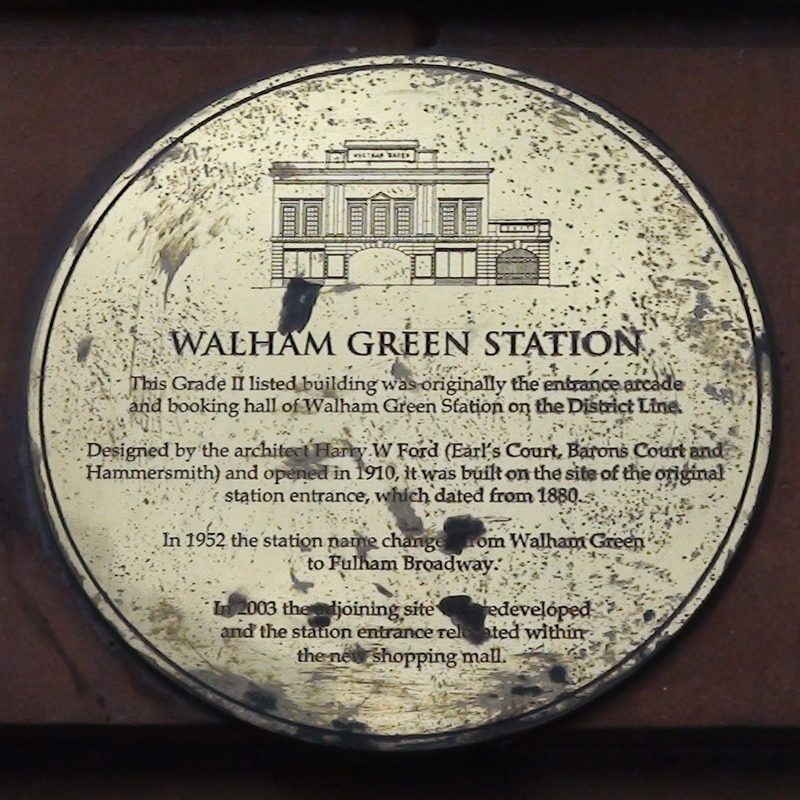 In 1952 the station name changed from Walham Green to Fulham Broadway. In 2003 the adjoining site was redeveloped and the station entrance relocated within the new shopping mall.